In video games, there are high scores and then there are high scores. The long battle for Donkey Kong's biggest score definitely falls into the latter category; it's the holy grail of arcade scores and it's played host to some of the most competitive rivalries in history. 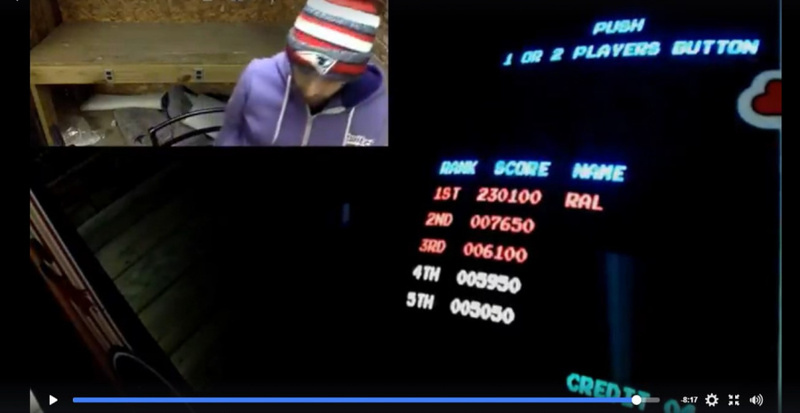 Well, the arcade classic's high score has been smashed yet again, with previous record holder (and former pro poker player) Robbie Lakeman surpassing the current record of 218,000 set by Wes Copeland in May, 2016. Lakeman, who's been trading stewardship of the record with Copeland since he won it from Hank Chien in 2014, hit a whopping 1,230,100 last night while livestreaming the attempt on Facebook. Lakeman admits on air that he could've reached an even higher score, but we imagine regaining his world record will be enough to satisfy the legendary player for tonight at least. And three and a half hours of DK? That's some dedication right there. I think I made it to the fourth level of Donkey Kong once… Geez these guys are good. 1,230,100 or 230,100? The article and headline says 1,230,100 but the photo shows 230,100. If it is indeed 1,230,100 but the game won't display anything above 999,999, it would be worth mentioning this in the article. As currently it's not clear whether or not 1,230,100 is a typo with the conflicting 230,100 shown in the photo. The old record was 1,218,000, not 218,000. Wait 'till Adam Sandler gets wind of this. He'll crush it in a 80's montage, a la Pixel. These guys are beasts! 5 years ago I thought Hank Chien would be uncontested. Competition's good, it keeps interest alive. "No matter what I say, it draws controversy. It's sort of like the abortion issue." I would love it so much if Billy could regain his record! @tjhiphop Correct... NLife needs to up their editing game. Not only is the previous score reported wrong... but it seems like the writer actually believes that was the old score and not just a typo... the record was broken by less that 1%, which I would not call "smashed". @Julien Yes, the score display "rolls over" at 1 Million... and that should have been mentioned due to the photo shown. If you enjoy this, search in youtube "World Record Progression: Donkey Kong" by a channel called Summoning Salt. They have a fascinating overview of DK's record, as well as many other games. Really worth it. "Robbie Lakeman wins back his title with a score of 1,230,100"
Someone had achieved a score of 1,222,900 points from playing the version of the game included in Donkey Kong 64 years before this new achievement involving what appeared at had been one of the arcade versions of it. "If you enjoy this, search in youtube "World Record Progression: Donkey Kong" by a channel called Summoning Salt. They have a fascinating overview of DK's record, as well as many other games. Really worth it"
You could had provided an address for this "overview" instead of those directions. There's a potential Donkey Kong kill screen coming up if anyone wants to watch. Love news like this! Can't believe the score is still climbing!? 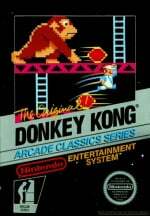 I am a huge DK fan and fan of Nintendo's arcade classics in general! Based on the majority of the source material being from SD camcorders, I doubt the movie would look much/any better on BluRay. 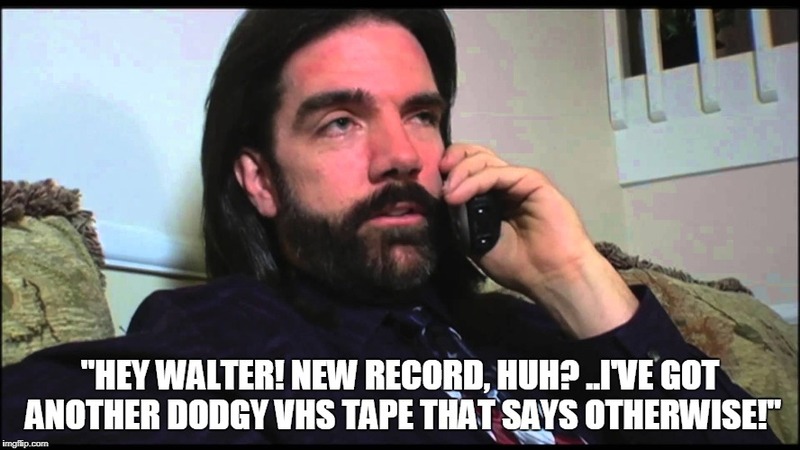 DVD is probably the "proper" look for that particular film. Why has this article not been re-edited to display the correct figures. It's very confusing! He streams on Facebook instead of Twitch?